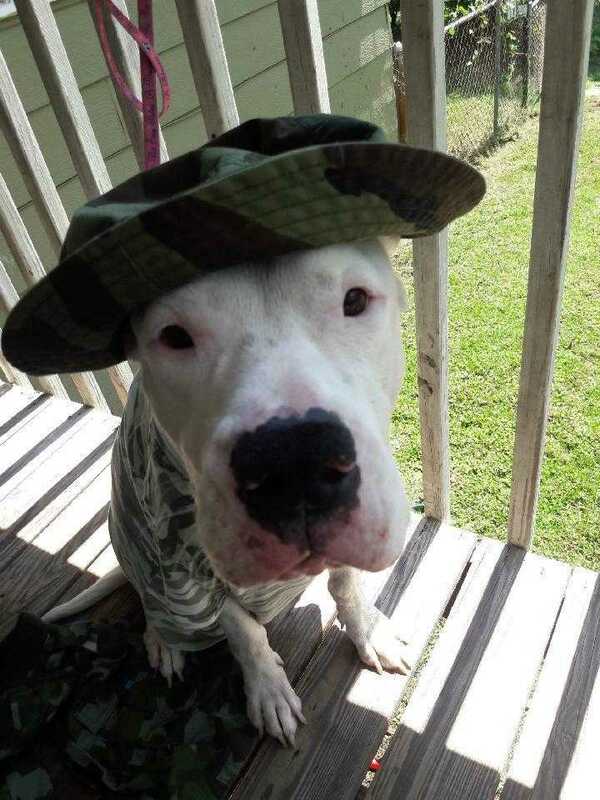 Originally a Florida gal, Angel is a 6 year old Dogo Argentino who spent about 7 months at a humane society shelter, where she was loved and adored by all staff and volunteers!! She loved seeing her people and giving kisses every single day. She currently lives in Conyers, GA but willing to travel to her new family! Angel really loves to eat, especially if it involves peanut butter! She gets so excited to eat and she will tell you all about it too! Angel does play with another male dogo but seems to prefer to be around her human instead. Angel likes to be the dominant one and we feel that she would do best in a home without female dogs...or cats. Now, Angel is going through training in Georgia to learn some basic manners. She is a good girl who has shown to be friendly with people, and even children! They are working on her socialization techniques with other dogs now that she knows she's in a safe place. Angel has some funny little anxieties that are cute- it seems that everything is new to her, and she's got the excitement of a puppy to see the world! She has a whole world to experience so we are taking it step by step with this sweetheart. Angel is ready to be adopted to a home that has the time and patience to continue working on her training. The rescue does provide initial training but the adopter needs to take it from there and make sure she continues to be a wonderful Dogo. We are not sure how she is around cats but, from what we see, cats wouldn't make it in her home- she has a strong will to chase and catch squirrels and any other critter she gets a glimpse of! Updates about Angel will be provided as we continue to learn more about her and watch her progress through training!! You can learn more about the rescue and our dogs at www.dcdogos.org.